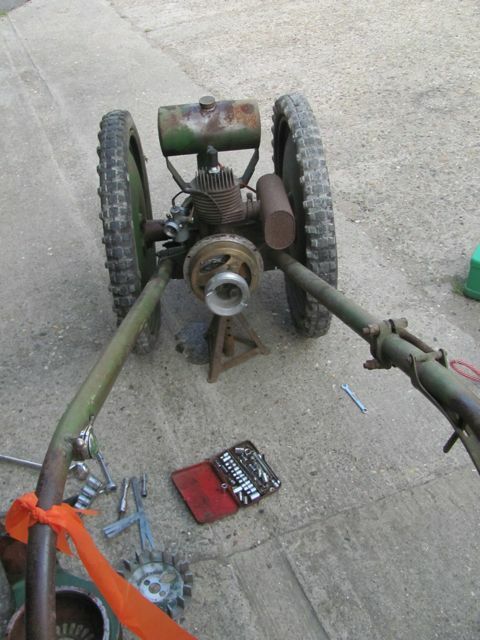 Apart from the balloons and all the paraphernalia that goes with them, from cylinders to trailers, coming in for repair we still get all sorts of other stuff to fix, or trot off to mend on site. This stems back to the years trying to persuade agricultural machinery to come apart or go back together, usually when it was raining or dark or just trying to get it work after something had been ingested or the farmer had tried to mend it. That led to the pub scenario of someone pointing at us and saying “Ask him, if he can’t fix he’ll know someone who can.” This generally results in some sort of a challenge so imagine my delight when a chap comes up and asks if we could have a look at an Oxford Allen Scythe that came with the house he’d just bought. It hadn’t been used for quite a few years but was he was told working when put away. We promised nothing and tried to explain how dangerous they were. To no avail, it arrived in two bits in the back of a Renault estate. Now ‘working when it was put away’ and a ‘few years’ are, by their nature, subjective. ‘Working’ goes from ‘it was working but blew up, seized solid and was put in a large heap in the corner of that field to ‘it was serviced, put on blocks, wrapped in oily rags and kept in a warm well-ventilated building’. Mainly we get stuff nearer the lower end of the scale so it was with a great deal of surprise that seemed to be mid-range and not seized. Hmmm. The Allen Scythe is the agricultural equivalent of the Mercette. It is very easy to kill or injure yourself with one of these things. They were built by John Allen and Sons in Cowley, Oxfordshire, originally The Oxford Steam Plough Company, from 1935 until 1973 and comprised, in this one’s case, an iron-barrelled and headed Villiers two-stroke engine mounted on a hefty cast iron casing enclosing a rudimentary gear box and drive mechanism. It probably dates from around the early to mid-fifties. Two large diameter cast iron wheels are turned by a couple of reduction gears, hub ratchets and a worm drive through a very basic clutch. That you drop the clutch and the thing decides to go for it is dangerous enough but the really, really dangerous bit is the simple fact that as soon as you fire it up, using a bit of rope round a pulley, the cutter bar is running. The cutter bar is generally known as a finger bar but that disguises the fact that its virtually the same as a cutter bar on a combine harvester and pretty much as deadly and is three foot long, sorry, about a metre. The cutters are driven by an exposed oscillating spring steel arm. They were designed for cutting long rough grass, or between rows of fruit trees and the like. In reality they will carve their way through pretty much anything that doesn’t have a trunk! Sporting two controls, a lever-type hand throttle and clutch they are simple enough to get going but, be warned, when the clutch is dropped it alone decides when, and how fast, it is going to move off, add to that, when warmed up, and especially when going straight, the clutch has a habit of taking its time to disengage meaning panic normally sets in as you frantically try and reach the carb to flip the choke flap over to strangle the engine. Shutting the throttle and holding the thing back sometimes works but its all a bit of lottery. Aiming it at something solid with the throttle closed is usually the best option. 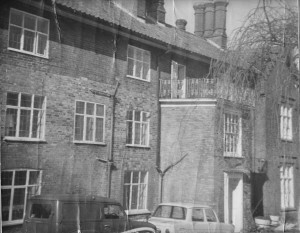 My first encounter with one was at Hill House, Overstrand, in Norfolk, then a fine, possibly 17th century, brick built but, probably once older Georgian-fronted mansion (pile, in colloquial terms), owned by the well-eccentric Sir Christopher White (3rd baronet, for purists). Norfolk houses are really difficult to date because most of the wealthy landowners were bonkers to one degree or another and the stately homes they had built were often erected around an existing house. He lived on his inheritance which was paid monthly. He and Anne would get the train to London, spend the lot and scam a ride in the newspaper-train or in the guard’s van back to Norwich and then blag their way back to Overstrand. Most of the furniture was used to keep the place warm. Out the back were stables and kennels and a huge former terraced garden which was well overgrown with ferns and stingers, below lay a caravan site, more on that later. In an outhouse we found an Allen Scythe. “Doesn’t go dear boy, never has”, Sir C offered, gesticulating extravagantly, single malt in hand, 10.30 in the morning. Red rag equals bull. A hour or so later it was. I reckon I was around sixteen or seventeen and it was our first visit there. He’d been a tutor at a private school of my (in later years) eldest’s godfather Rick White (no relation). Rick was an important-type person at our wedding and long standing friend who we see every so often at the Little Horwood Duck Race, anyway, get it going we did. The two-stroke produced vast quantities of white smoke which meant navigation in dense undergrowth was tricky and decidedly unhealthy. Eventually, after satisfyingly demolishing around half an acre of ferns and nettles, the edge of the first terrace was encountered. Naturally it plunged straight down it. It was only a matter of time, ‘ad to happen, sooner or later. 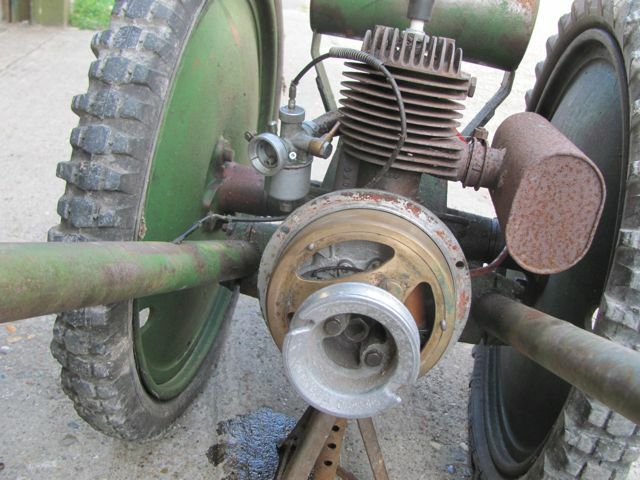 Two-strokes have no engine braking. I somersaulted over the top and ended up facing the manic cutter bar still going full-tilt-boogey. Me right leg ended up contacting one of the fingers and went claret. I managed to stifle the choke and, although draped somewhat ungainly over the thing, I survived. Since then I’ve had the mis-fortune to use them many times. They never got any better but there was an underlying sense of satisfaction that such a creation was well capable of charging through the densest of undergrowth and reduce it to a smashed defeated wasteland and, by then, I knew how to stop them. That doesn’t mean I’d mastered them, just that I had a lot more respect for the things. Rule number one, if it goes out of control let go and await the crash from a safe distance. Rule number two, don’t start it in the first place. resolved me to attack the beast. So, back to basics. Plug out. Spin it over. Off with the pulley again and pull the flywheel off which is easy as Villier’s designed a really neat threaded locking bolt that also withdraws the flywheel off the tapered shaft. Mucho muck and grime and the points are badly as in very badly pitted and there is no gap. Off with the magset and a jolly good clean-up including dressing the points. If you own a modern spam-can you won’t have a clue what I’m going on about but, pre-electronic computer-controlled bollix which makes AA membership these days mandatory, this is the natty bit of kit that made the spark go boom at the right moment. Reassembly is simple, set the gap around 12 thou, line the timing marks up (one on the flywheel and mark on the engine casing), checking that the piston is just before top dead centre using a screwdriver down the plug hole, withdraw screwdriver and turn it over a couple of times to check the points open just so. Now, the other problem with two-strokes is that the fuel is also the lubricant. It follows then that internal seals are also, or should be, gas tight. Before restarting an old two-stoke it is well necessary to ensure that the fuel gets pumped around the engine. If you don’t things will, at worse, come to a grinding halt midstream or result in a higher than normal smoke screen or, put it simply, just not start. It was quite evident no fuel was going anywhere but at least the tank didn’t seem to leak. Off came the carb (simple screw clamp). Examination showed a rather inappropriate self tapping screw had been mullered into the jet assembly. This would have to be sorted later. The float bowl was removed and the float needle and float checked. The float floated and didn’t rattle so we could assume that was OK and the needle seemed fine and didn’t stick. A good blast of air through everything, a brush up here and there, another blow through and it put it back together. Similar job with the fuel tank and fuel tap. All nice and clean and no leaks perceived although that was bound to change. The tank cap doubles as a measure for the two-stroke oil. Modern two-stroke oils are designed to be much more concentrated and thus produce less smoke. Synthetic ones aren’t really suitable for older two-strokes so we hunted about and found some older stuff and gave it half a measure to half a tank. That ought to do it. Rummaging around the rope cupboard a suitable bit of string (green turning vent line EASA Form 1 noted) was sourced and knot tied in the end. This was wrapped around the starting pulley. Plug in loosely without the lead attached. A few spins later plug out and there was the smell of fuel in the barrel. The thing is that its just so well built, so Empire, everything comes to bits, eventually. Modern rotovators are just so much tin and no weight, nothing really substantial about them. They have steel and plastic panels and clips and solid state ignition and carbs made out of papier mache. Even modern top of the range tractors have plastic clips instead of nuts and bolts and computer controlled stuff that will engage ‘safe mode’ when a bulb goes. Its obscene. You can’t beat decent cast iron, Whitworth nuts and bolts and once started, despite major components often falling off, will keep going. Plug screwed back, lead on, choke flap closed and one hearty tug later away the sweetie went, bar-less the cutter arm thrashed back and forth satisfactorily. Ease back on the throttle lever, flick the choke flap out and it was ping-bang-popping-banging away quite merrily. Amid clouds of smoke and a cacophony of sound the clutch was engaged. A lurch, a pause, bigger lurch, I was down and the scythe was off, me behind frantically scrabbling to hold onto it. In the smoke-filled gloom of the workshop, under his lamp, John glanced up and laughed. The smoke was as predicted and as copious. I vanished down the yard like a downed Messerschmitt. Luckily, or rather unluckily as it would have helped stop the monster, the cutter bar wasn’t attached making it tail heavy so when de-clutching and no stopping became an issue ramming something wouldn’t work but at least I wouldn’t end up with another hole in me leg if I took a tumble. At the last minute, before I vanished into the field heading for Great Missenden I got the choke flap closed and it stopped. Pushing it back seemed the best option. Do you know what? I’d had a lovely afternoon tinkering and now all that remained was sorting out the flat tyres. Villierspares were dialled up and after the usual one sided negotiation inner tubes duly arrived and were eventually persuaded to go into the crusty old tyres. The cutter bar was oiled and refitted and the air filter re-attached. After a test run charging through the undergrowth behind the workshop hitting the electricity pole before heading down the field and carving ‘NO HS2 HERE’ in the grass and then promptly running out of fuel all that needs to be done is adjust up the clutch and the owner can have it back to cut his paddock. I truly wonder if he realises how desperate (dangerous) that will be. 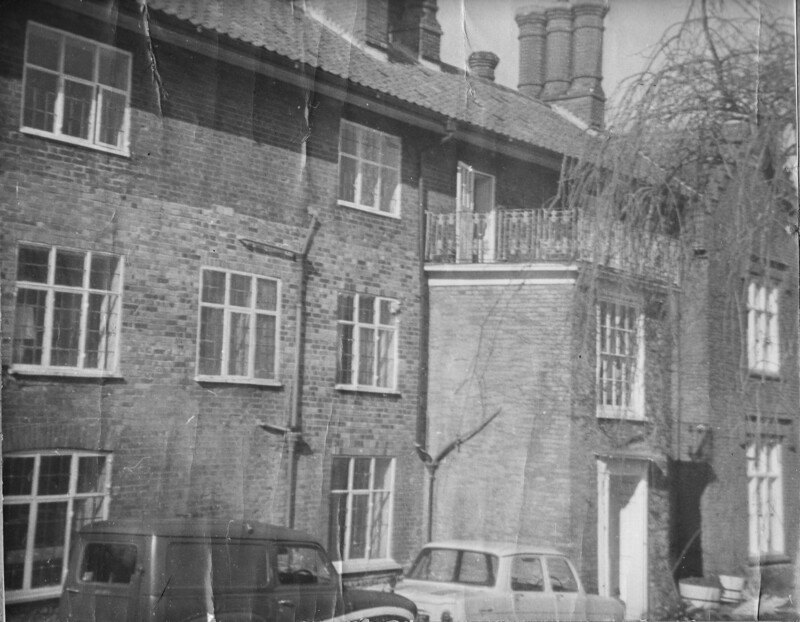 When we visited Hill House it was filled with a very eclectic and rather strange mix of people all renting rooms (of one sort or another) and had an electric meter! I think we lived on toast and drunk at the Overstrand Motel, a strange place inhabited by somewhat mature ladies who introduced us to whisky. There was Mike, a Hoggeston Rocker, who had originally written Spirit in the Sky and got ripped off by the artist and recording company so turned to fine art, painting eye-vision shaped paintings. They were beautiful. Phil or Dave, can’t remember now, had a Sunbeam S7 and took me to a fantastic scrapyard with traction engines in it to pick up a propshaft for a Ford Consul Rick had bought off the gardener at Northrepps Hall for £25 quid and a bloke called Dave who slept in a very big double coffin surrounded by a fantastic Hi-Fi system and lightshow and arrived with different girls every night and seemed to be feared by most. We ended up one summer walking back from somewhere outside Norwich at around five in the morning having got a lift in a battered Landrover, after seeing Mott the Hoople at The Lad’s Club in Norwich, to a party at another huge rotting pile (another story). Backing Mott (whoa, Thunderbuck Ram) was Pete Brown’s Piblokto (check out Golden Country Kingdom, great lyrics). Sir Christopher had peacocks the last of which he shot out of his bedroom window one morning and we had for tea. In fairness they are incredibly noisy at sunrise. He also had Irish Wolfhounds and a Bedford coach to carry them around in. Just before we were married we got Stella from him, a wolfhound with little or no commonsense. Sadly she went back to Norfolk for breeding and was run over giving chase to a car. As for Sir Christopher, originally of Boulge Hall, Suffolk, having parted from Anne Brown, a lovely kind lady as I recall, he eventually married the daughter of the Jowett’s founders of the Jowett Car company. Hill House burnt to the ground in a mysterious fire having been filled with old people (all survived) and today a modern edifice sits on the foundations and old cellars. Looks most odd. Not seen the garden so I have no idea if the terraces have been re-instated. Anne Brown’s father was Major Tom Brown who was awarded the Military Cross and later got an OBE. We haven’t heard from, or seen Sir Christopher for years now but he was last recorded as the Honourable President of Warnborough House in Oxford which became notorious for advertising as an Oxford University but, seemingly, had no accreditation unless, apparently, you were from Australia. I’m sure it goes further than that but we had some great times at Hill House. About the caravan site. There was also an old Caterpillar tractor lurking in the undergrowth that we also got going the following year and also fell victim to the terraces. Having thrown the driver off, whose name I won’t recall, it headed through the woods, somehow missing all the trees, to the caravan site below, bursting through the fence. We managed to get there by van shortly before it did and stopped it before total carnage ensued. Although thankfully out of season a fair crowd had gathered so we filled the bucket with people and more scrambled on the back and headed to the pub in Cromer (had to walk back and collect it the next morning). Did look strange, a Caterpillar tractor parked outside the pub. Getting that old Allen Scythe running again brings back a lot of hilarious memories but it still remains a dangerous beast and is probably best left in a warm agricultural museum. Good luck James.